After discovering a cannabis vending cart, Canadian police put the man in charge under arrest and posted it on Twitter, where it received some criticisms. After discovering a cannabis vending cart, Victoria Police put the man in charge under arrest. In fact, they even posted the business on Twitter for the entire world to see. At the present time, Canadians are for spring of 2017 so that they can enjoy legal cannabis. With this in mind, a cart displaying 420 in big, bold, and green lettering is likely to grab someone’s attention at this time. Although the idea is indeed a genius one, it still is a no-no in Canada, for now. A vending cart serving cannabis sounds like a dream come true. In Canada, however, one man’s budding business idea didn’t exactly go over well with Victoria Police. Last week, Victoria Police put the man with a plan under arrest for dealing cannabis from a vending cart. The cart, in particular, displays 420 in bold and green. Moreover, it reads “no minors” in smaller print. Advertising that the cannabis is not for minors is smart, but not smart enough to keep his business plan from going up in smoke. Not only did the man blatantly advertise that he sells weed, but he also carried over 150 grams of bud. Therefore, it didn’t take much convincing for the cops to arrest him. Although they did release him, they are still recommending drug possession charges against him. The fact of the matter is we’ve been clear. We believe in legalization and regulation of marijuana because it protects our kids and keeps money out of the pockets of criminal organizations and street gangs. As a result of the US election, and states like California legalizing the herb, the U.S. may very well influence Canada’s decision. Moreover, it may make the goal more achievable. 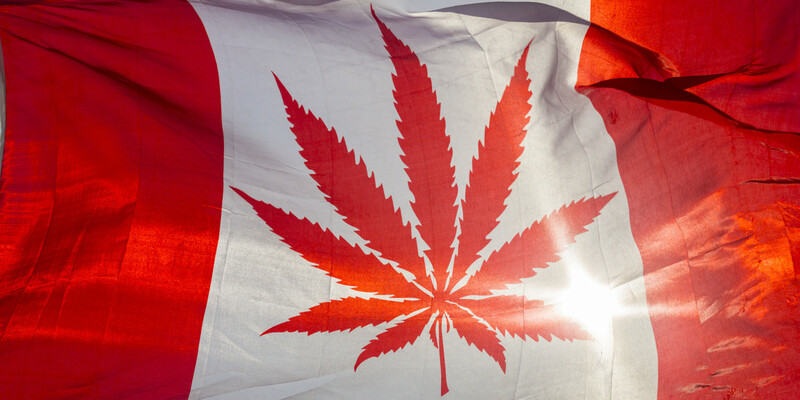 In general, Canada has a lot of support for cannabis reform. Not only is their Prime Minister favoring legalization, but even non-smokers are all about cannabis. In fact, nearly a million people that don’t consume cannabis say they would give it a try if it became legal. Serving cannabis from a vending cart may be frowned upon right now, but perhaps not for long. If everything goes according to plan, legalization will be presented during by Spring of 2017.